Today, most of the business needs are driven by single or multiple business unit(s), but not all the units interact with the management applications in an organization. As the imperative is to enhance the implementation, bringing all business units to share the same vision is critical to success. Assisting companies with an agile team to solve this is Kavayah Solutions, a Princeton-based company, provides full-service advising in solution strategy and enterprise application management such as development and maintenance, and project management services, along with its big data practice. Kavayah’s application management team offers a wide range of support services, including application maintenance, enhancement, and new product services. 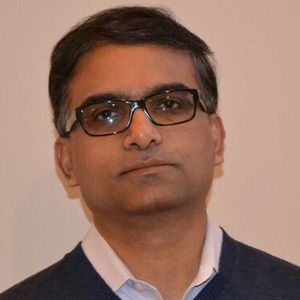 “Application maintenance is a challenge for SMB’s; Kavayah helps companies manage this seamlessly,” says Vivek Casula, President and CEO of Kavayah Solutions. While delivering the service, Kavayah follows a well-defined and time-tested process to take over maintenance of the application. Minor additions, bug fixes, ad-hoc reporting, provisioning of new hosting are performed during this engagement. Building on application maintenance, the company offers application enhancement services, where new requirements are driven by regulatory compliance or business needs. The purpose of the enhancement is the driving force that brings all business units to share the vision, which is critical to success. “Regression testing and updating the documentation are our key tasks to accomplish through this service,” states Casula. In the company’s new product service, the entire software development lifecycle comes into play. Kavayah’s process builds on the iterative and the verification (“V”) process to gather and elicit requirements, conduct teach-back sessions, capture gaps, reinforce requirements, and create prototypes. As the business requirements take shape, the functional requirements are created along with formulation of test cases. With the cloud infrastructure implemented during the implementation of the service, it is straightforward for companies to manage a varied application stack. Rather than being straitjacketed into using existing technology stack, the clients are able to build applications using technology stacks that suit the application. Casula highlighted a case study where Kavayah assisted a personal Injury Law firm in the U.S. to redesign their case management system. Prior to the new system, the company had three different tools used by different business units and data was inconsistent. The new system, which was put in place in 14 months, helped the client to manage information in a consistent manner. “Kavayah has been responsible for enhancements to the system since the launch. We also assisted them in developing applications to support their other business processes,” informs Casula. In addition to the support services, the company has a Big Data practice that helps clients connect businesses and assists them in gaining insights into the use of their products. “Through this practice, our clients are able to spot emerging trends early to further their business,” adds Casula. Being an information-systems firm and tech-services provider, the company designs and develops customer-focused solutions, while providing top-of-the-line staff augmentation. “Most of the turn-key projects executed by our team involve off-shore resources. Over the years, we have refined the execution process with multi-location teams working on a project with strong project management in the U.S.,” says Casula. Forging ahead, Kavayah Solutions’ vision for the future includes expanding data management services in the area of big data and providing SaaS solutions. “We are in the process of developing a big data analytics platform that capitalizes on emerging sales and opportunities. The platform is geared towards small and mid-sized businesses,” concludes Casula.